Ashampoo Snap is a Screen Capture Tools that allows users to take screenshots (still images) and capture videos. It can capture and store anything on your computer screen, including video. Whatever you can see on your screen, Ashampoo Snap 3 can turn it into a snapshot or movie and save it to a file. 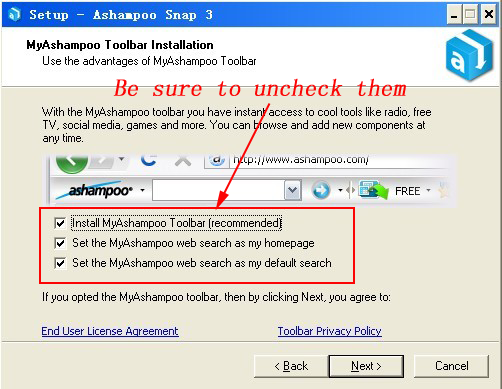 Ashampoo Snap 3.50 is a quite popular alternative of another paid tool Snagit. 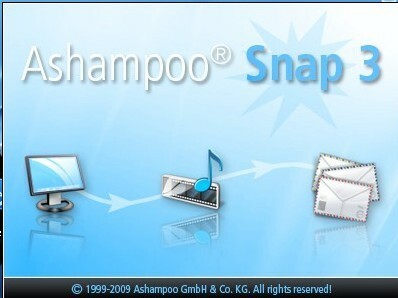 The current version of this screen capturing and recording utility is Ashampoo Snap 4, but today we are here to inform you about a good news for Ashampoo fans, now everyone can get Ashampoo Ashampoo Snap 3.5 full version license key which worth $9.99 but now free for limited time.In my opinion,the Ashampoo Ashampoo Snap 3.5 is enough. Ashampoo Snap 3 can be started on demand or you can have it always available.The new motion capture tool has two different modes: Video mode for full-motion movies and Application mode for capturing Windows programs – for example for demos and walk-through tutorials showing how to use a new application. You can also add your own voice with a microphone to comment on or explain what is being displayed. Ashampoo Snap 3’s integrated graphics editing tools are powerful and easy to use. Add arrows, drop shadows, text and text bubbles, highlight areas in different ways and much more to turn simple screenshots into great-looking images in seconds. Users liked the editing features of the previous versions so much that we’ve added an edit mode. You can now use Ashampoo Snap 3 as an editor to open and edit other images and videos. 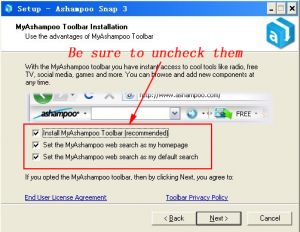 How to get your Free Ashampoo Snap 3.50 license key? 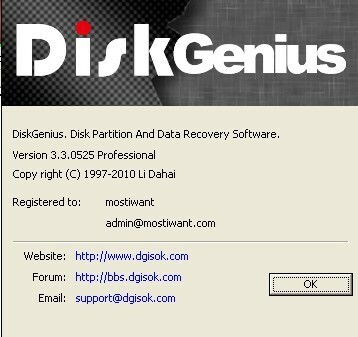 Please note: in addition to registering for the free cdkey, you are opting in to receive Ashampoo “service letters”. They will send you a nagging email every now and then asking you to upgrade to their latest version down the track (which I normally sent to my trash as soon as I got it). Although you can opt-out of letters after you register via MyAshampoo, it is better not to use your common-mail. 2,If you have registered with Ashampoo in the past with the same e-mail address,you will be asked to login to your Ashampoo account. 3,Ender the password of your Ashampoo account and login. 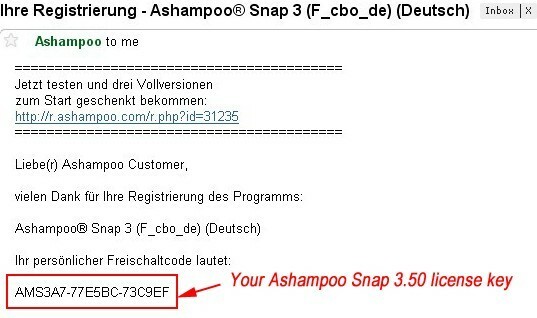 And then you will recieve an email from Ashampoo with the subject of Ihre Registrierung – Ashampoo® Snap 3 (F_cbo_de) (Deutsch).In the e-mail there will be your registration code. 5,Click on the link (or copy and paste it in your web browser) and you should be take to a page with a registration form. Fill out the registration form as required.Click on “OK, senden” when finished. 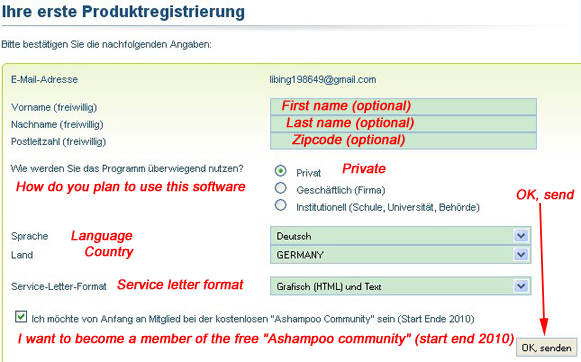 6,Check the inbox of your e-mail again that you registered with Ashampoo account. 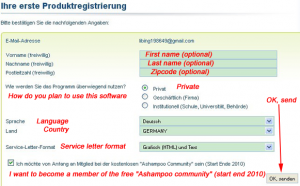 There should be another e-mail from Ashampoo .In the e-mail there will be your registration code. 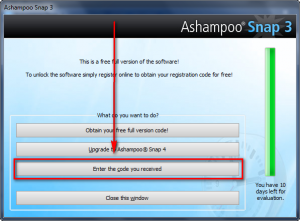 7,Download Ashampoo Snap 3.5 Here and Register it with the license code you received. Be sure to uncheck all that if you don’t want it (most of us won’t want it nor do you need it to use Ashampoo Snap 3.50.I suggest you uncheck all).